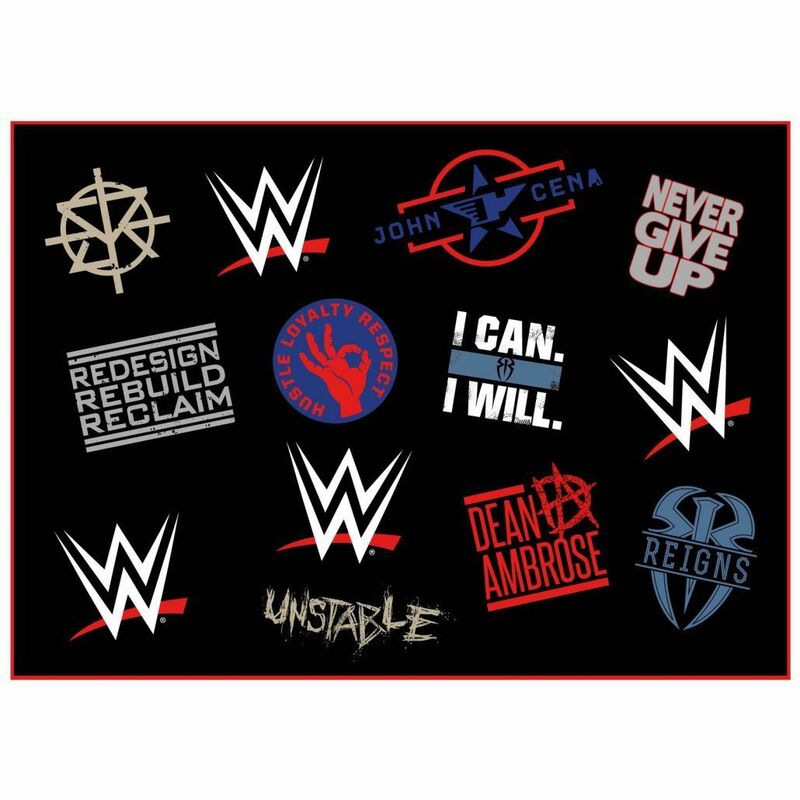 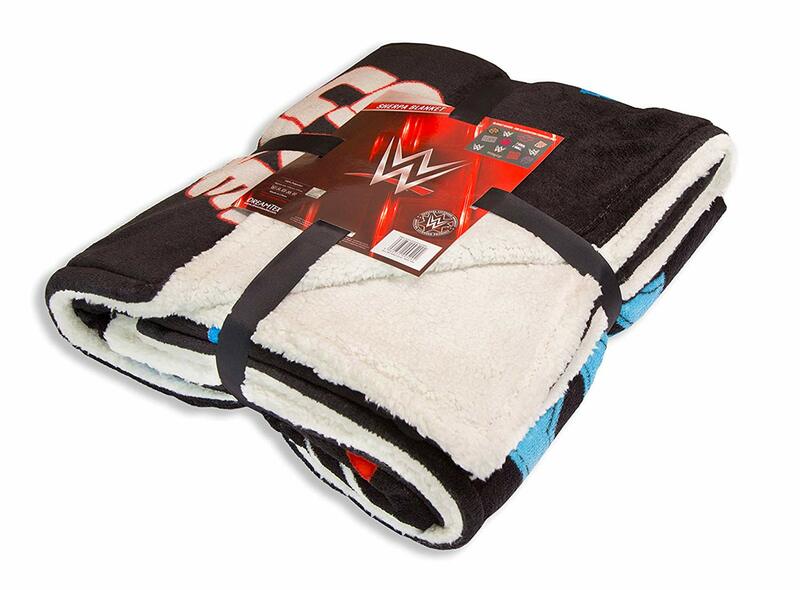 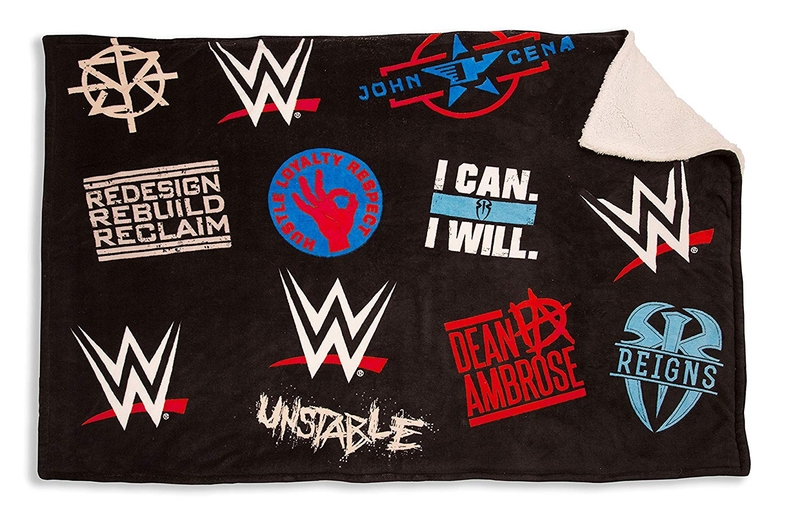 WWE Logos Sherpa Fleece Blanket in their famous colours. 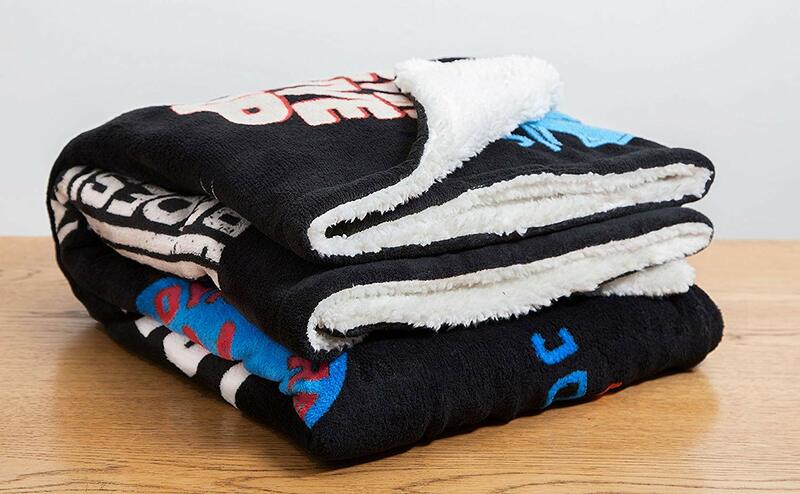 It measures approximately 170cm x 125cm and is made from a soft and comfortable 100% polyester fabric. 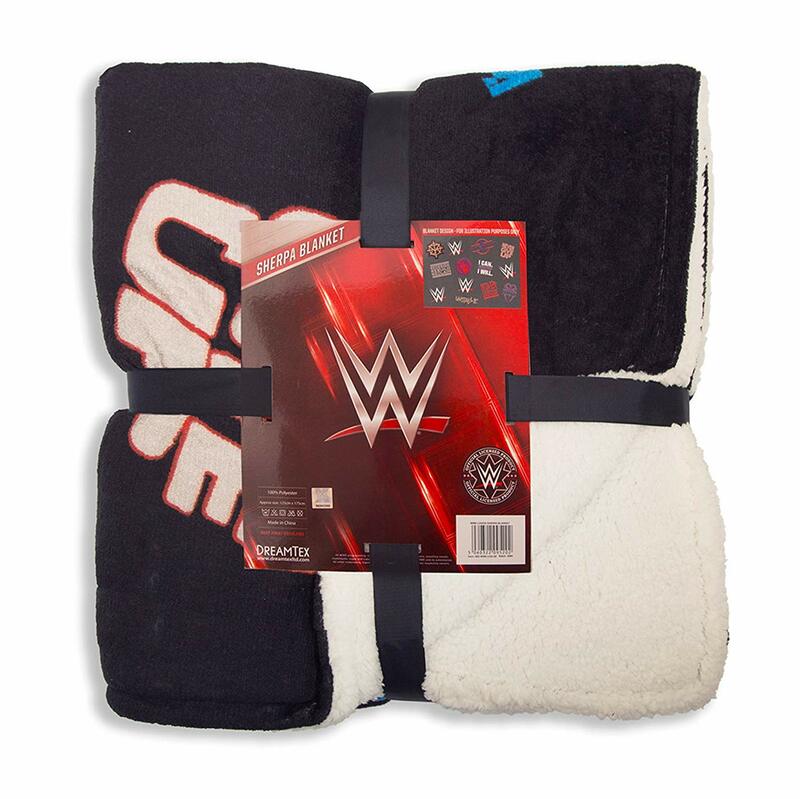 This is an Official WWE Merchandise.